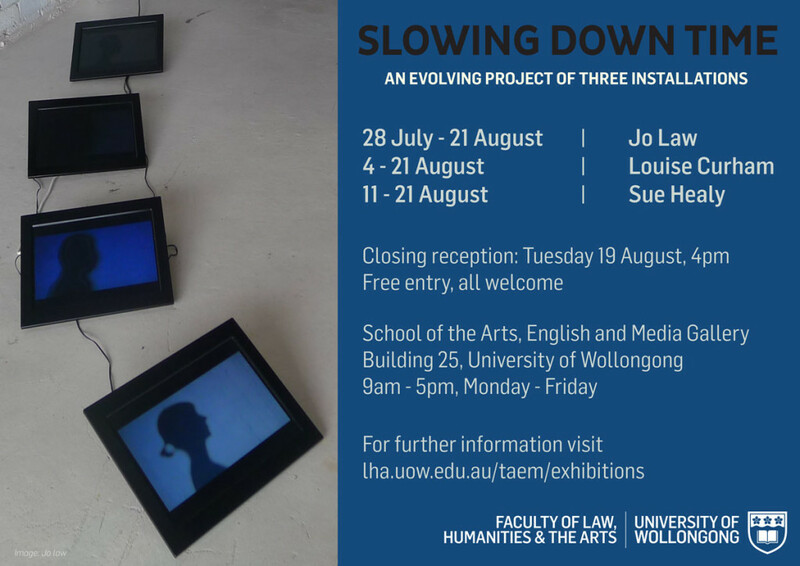 In this second iteration of the experimental collaborative project, three artists, Jo Law, Louise Curham, and Sue Healey will be exploring the premise of slowing down time by creating a palpable time zone where the experience of time is decelerated through directing audience’s attention to minute details, residues of memories, objects – the poetics of the everyday. Working in the TAEM gallery at UOW, the artists will respond specifically to the site. Focusing on the play on domestic, everyday aesthetics, and the medium of the fragments, the artists aim to transform the space and its experience with scattered objects, scattered images, scattered movements, and scattered memories.